Phuket Old Town deserved few nights to get out of the crazy and chaotic Patong area. I made my way to the center on a non-aircon bus leaving every hour from Patong Beach. No one was able to provide information for the drop-off point in town so I just relied on my Google maps. Luckily, the bus ended its trip just a few blocks from Fulfill Hostel Phuket. 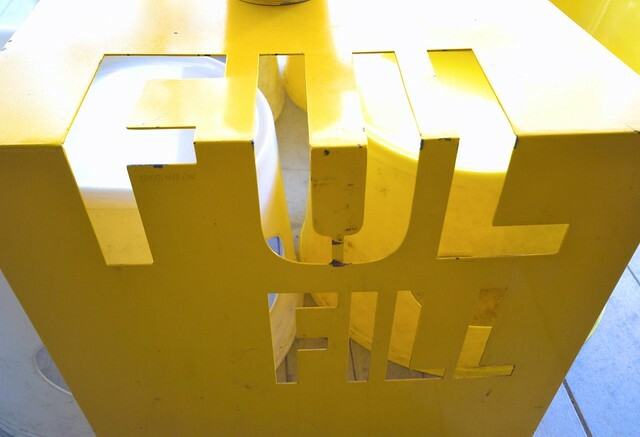 A hundred meters from the roundabout is the yellow and black frontage of the hostel. A Thai lady on the front-desk, speaking limited English, accommodated me for check-in. She was able to find my reservation and immediately provided the room keys. I got a private room for two nights. During the transaction, I glanced some Phuket island hopping tours being offered by the hostel. 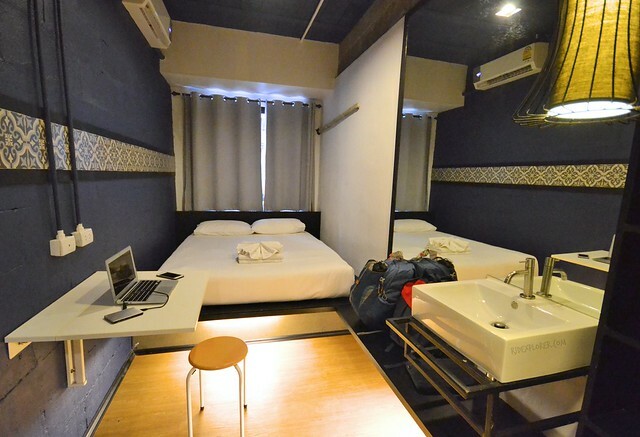 The room type is actually spacious and can lodge two people comfortably. The set-up of the room reminds me of Snooze Too Hotel in Cameron Highlands. Both sides of the bed are a foot away from the walls. Providing a better angle while on the bed is the cable-enabled television on one of the beams on the ceiling. A foldable table is also provided while the sink is detached from the en-suite toilet and bath. Bottled waters are refilled daily. Whenever you forgot to bring a towel, you can rent one from the reception for THB50 and a deposit of THB250. Be fulfilled! 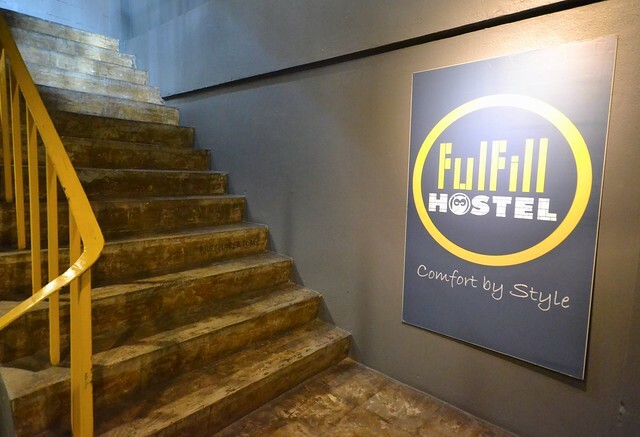 Stay at Fulfill Hostel Phuket. 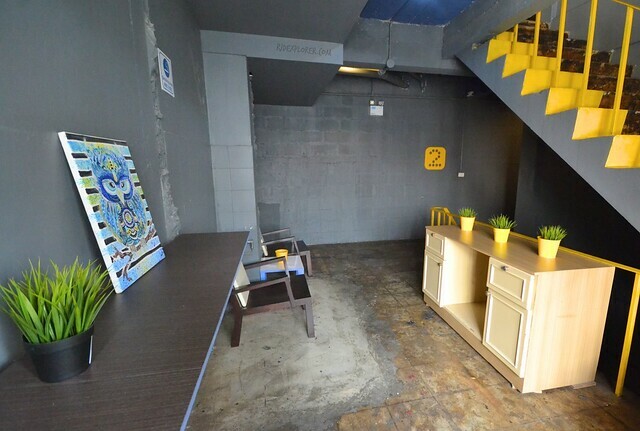 Other floors of Fulfill Hostel Phuket house the dormitory-type rooms for travelers looking for a cheaper option. 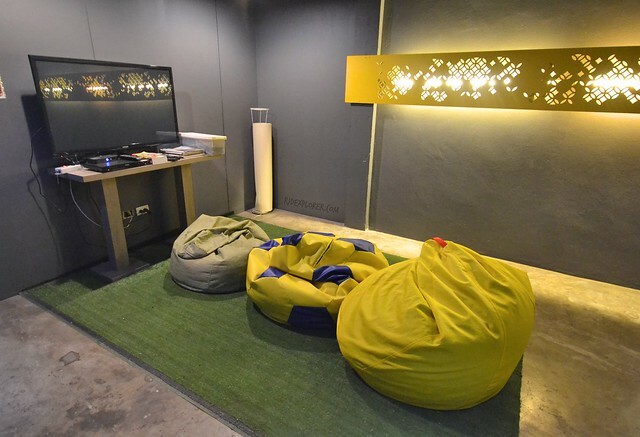 An entertainment lounge is available on the top-most floor equipped with a television, DVD player, and some bean bags. On the same floor are the communal toilet, shower, and sink counters. 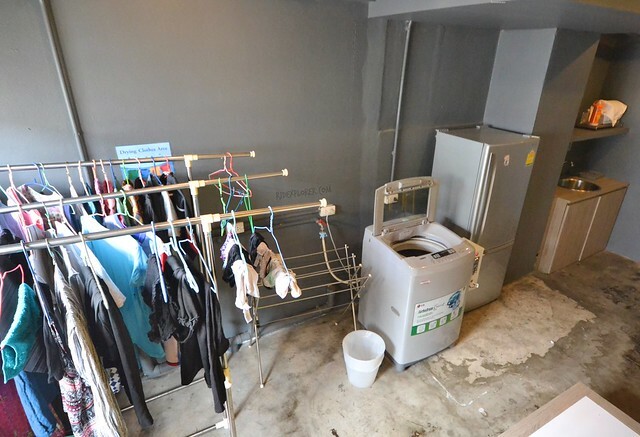 On a separate floor are facilities like laundry machine, fridge, and clothes rack. 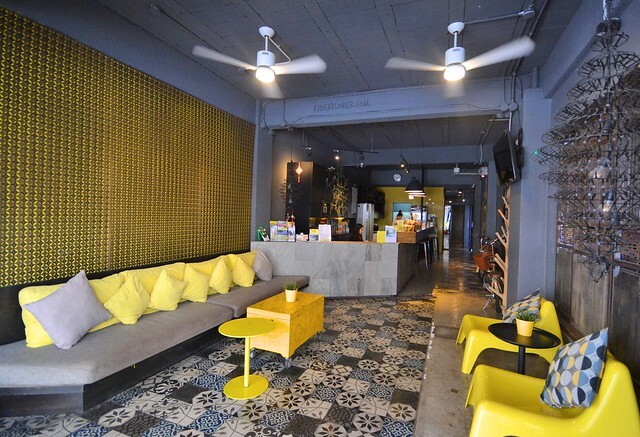 Utilization of black and yellow colors extends up to the hostel’s lobby and reception area. Yellow and gray throw pillows and couch, bright yellow tables, chairs, and plant pots. 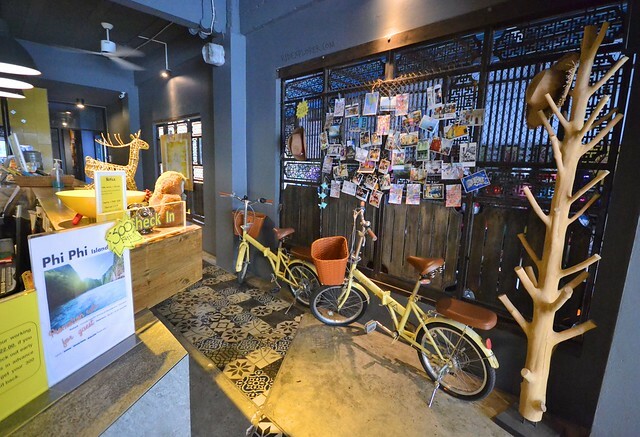 A giraffe and an owl will also welcome you during your arrival at the reception counter. Free cookies, coffee, and tea all day at the bar counter. 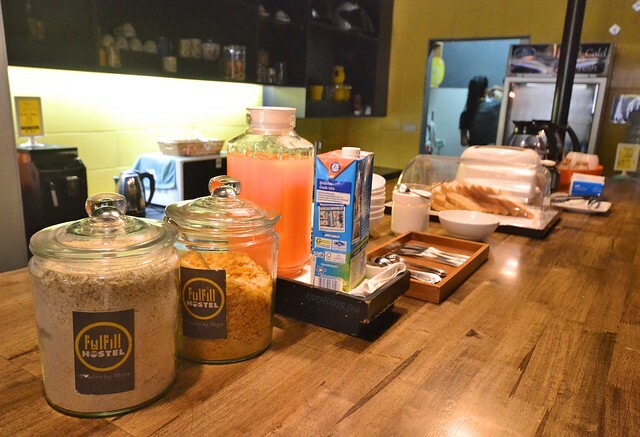 For breakfast, the hostel serves oats, cornflakes, toasts and spreads, orange juice, milk, coffee, and tea. 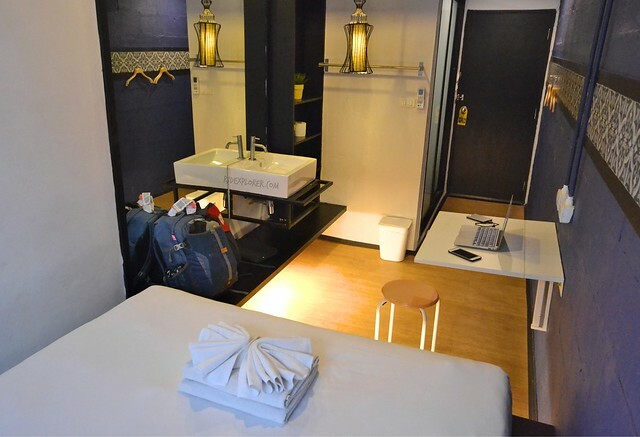 In terms of location, the hostel is located on Ratsada Road which is accessible to some Chinese restaurants and local food courts serving Thai staples. The Memory of On On, the famous hotel where the character of Leonardo Di Caprio stayed for the movie The Beach, is just a block and a corner away. If you love night markets, the Phuket Indy Market is 400 meters away from Fulfill Hostel Phuket. Most travelers in Phuket stay in either Patong, Kata, or Karon beaches because these areas are accessible to the beach. But this will equate to having noisy streets and jam-packed restaurants and alleyways. On the other hand, Phuket Old Town is away from the beach scene but provides comfort and style. 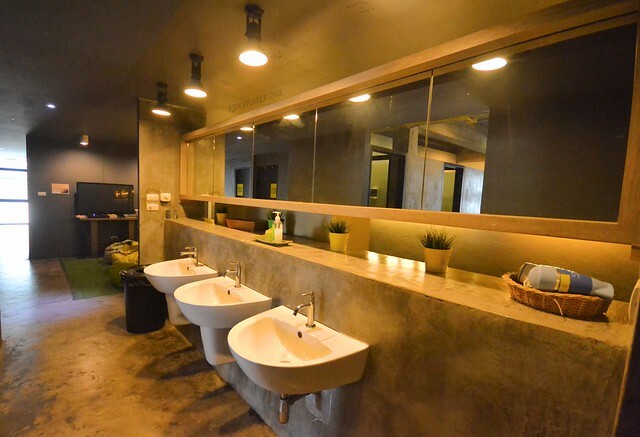 Fulfill the comfortable stay you’re yearning by considering Fulfill Hostel Phuket as your abode in exploring the old shophouses and historical landmarks of the city.